Panama is a rich country in many ways, from its incredible biodiversity to its unique Central American culture. However, this small country is probably best known for the Panama Canal. This huge engineering project allows ships crossing from the Atlantic to the Pacific ocean, saving a really long time bordering South America and, more important, a lot of money. For more than 100 years the Canal has been in the front stage of the country, historically, politically and economically. If you travel to the city of Panama you’ll find yourself in a very Dubai-like place. A modern city filled with white skyscrapers, which contrast with the colonial houses of the old town. 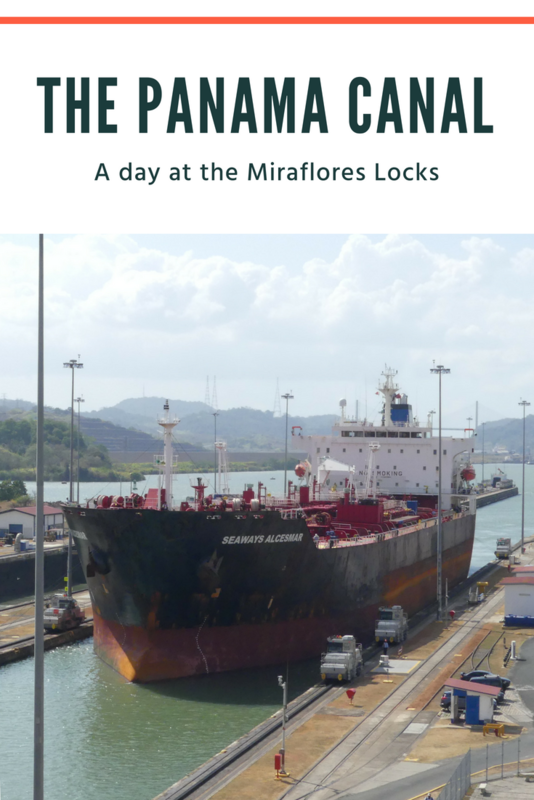 It is definitely a good place to explore for a few days, but not far away from there is a very unique sight: the Miraflores locks. These are the closest ones to the city, and one of the six locks that make the Panama Canal work. It is a very quick trip by bus from the Albrook bus station, and definitely worth it if you have some time. 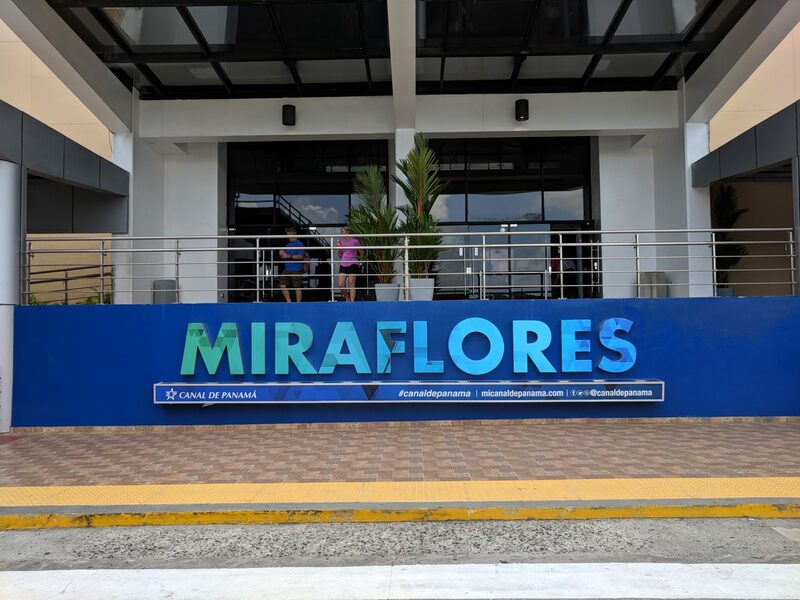 The moment you get close to the building a massive sign saying “Miraflores” welcomes you. 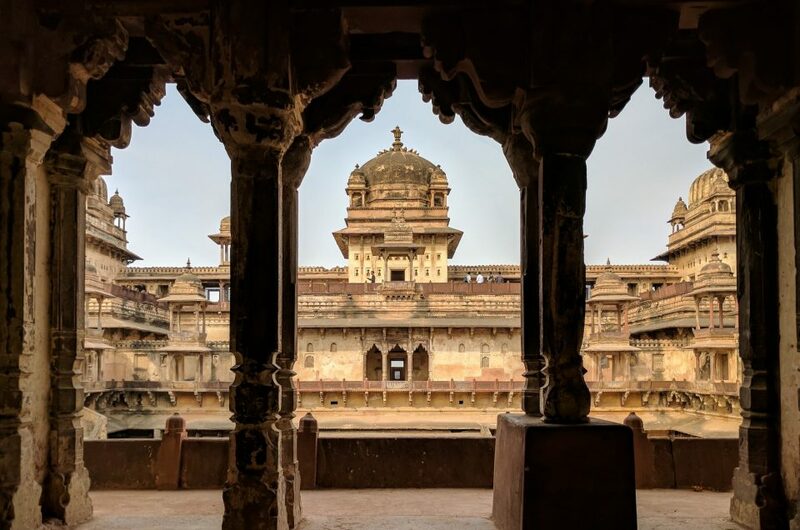 There is, of course, an entrance fee to go there, but it includes a museum, and you can stay there as much as you want. The first thing you can see straight ahead is one of the huge 25 meters gates from the locks. 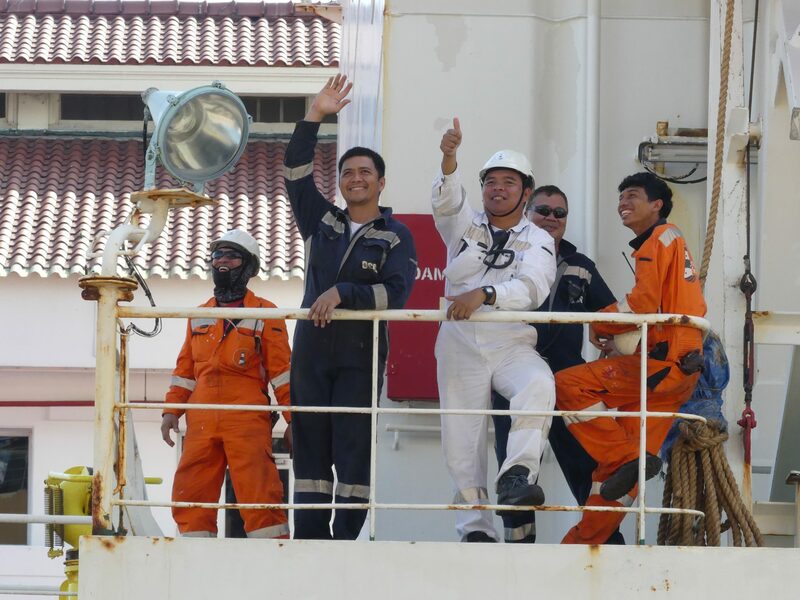 If you are lucky there will be a ship there already, but if there’s nothing don’t worry, be patient. They will come. After all, a ship crosses the Canal every half an hour on average. If you have time go and have a look at the museum. 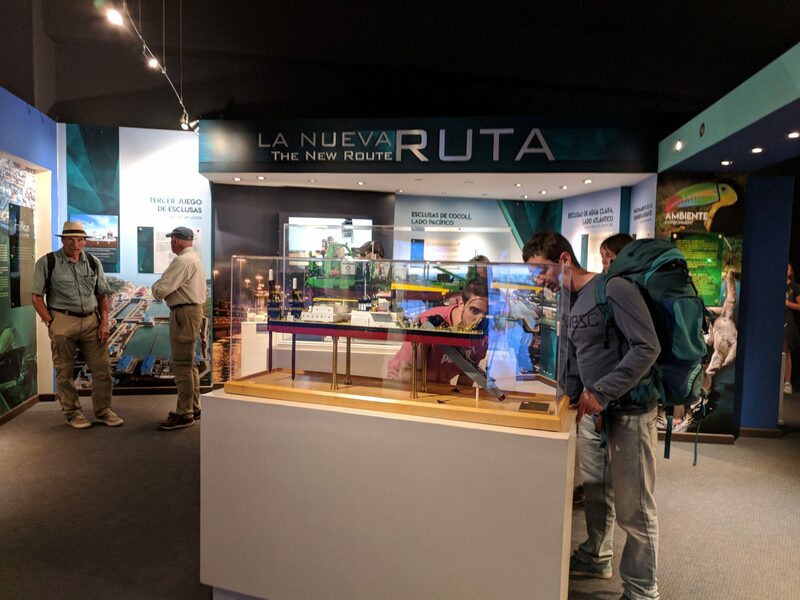 There is a lot of information about the history of the Panama Canal, how it was built and the significance for the country and its economy. Although it opened for the first time in 1914, the first idea of building a canal to go to the Pacific ocean goes back to the 16th century. In 1534 the King of Spain and Holy Roman Emperor, Charles I, first proposed it in order to reach Peru easily. The technology was obviously not there yet, but over the next centuries, the idea kept flying around. Thomas Jefferson, one of the founding fathers of the US, suggested again that Spain should try to build it. 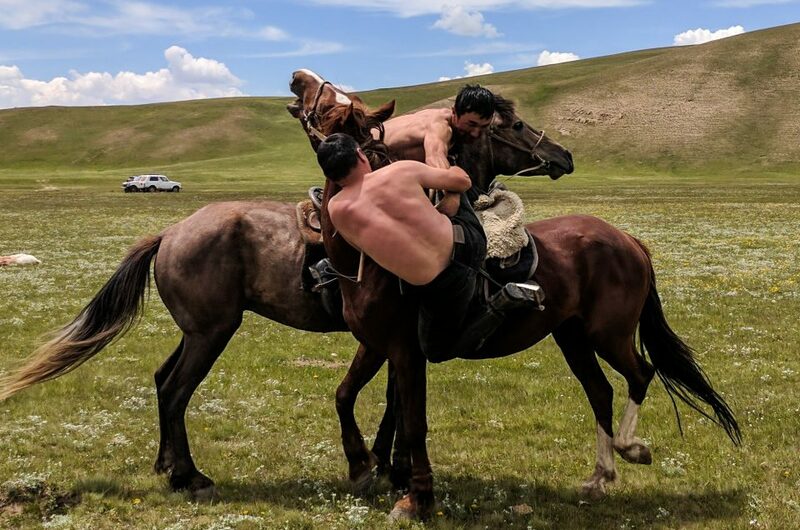 However, it wasn’t until the 19th century, with the technological advances of the industrial revolution and the decline of the Spanish Empire, when it started to be feasible. It was the French the first ones to actually start building a canal. With the Suez one in mind, in 1881 Ferdinand de Lesseps raised money and started the construction of the canal. However, the workers we unprepared for the weather and the hard conditions of Panama, to the point where hundreds of them were dying every month. By the end of the decade, and after hundreds of dollars lost and tens of thousands of victims, the project was abandoned, and a railroad was built instead. Fast forward a few years later and a new actor starts getting interested in the Canal. The United States of America is, at the beginning of the 20th century, a rising power, and seeking the colonial power and foreign influence that the European powers had. In 1903 they tried to offer Colombia (Panama was just a province of that country back in the day) a renewable lease for an annual payment in exchange of the land for the canal. When Colombia rejected it, the US then supported the independentist movement in Panama and send the US Navy to block the Colombian army. 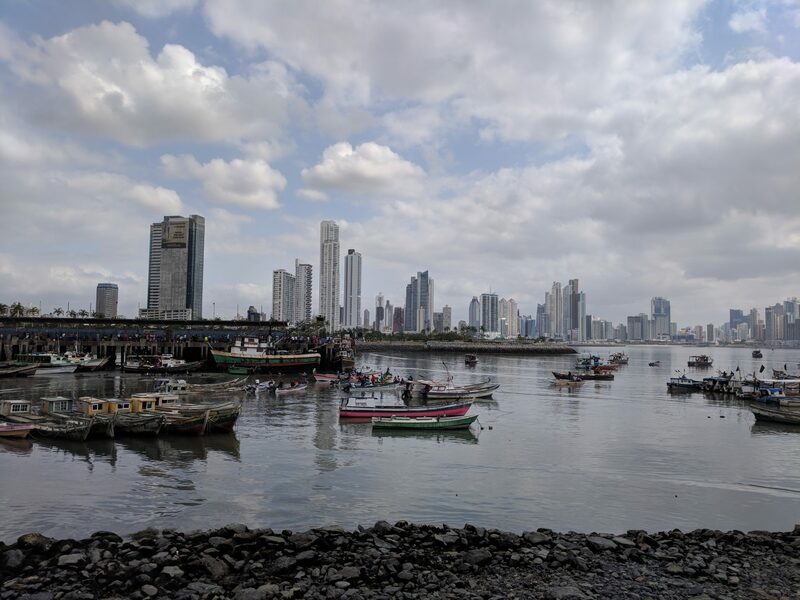 Panama declared its independence the next day, and the US signed a contract with the new government to build and indefinitely administrate the Canal. All these actions were seen as an attack on the sovereignty of Panama and an act of war on Colombia back then, but it didn’t matter. The Panama Canal was going to be built. In 1904 they bought the French equipment and started the construction, and after 10 years of hard work and even more deaths (although less than in the French decade), the Canal opened its gates. Ship after crossing the locks, thus finishing crossing the whole Canal! History aside, today the Panama Canal is a very interesting sight to see. After some time in the museum, there will probably be an announcement, the locks are going to be opened for a ship to pass. This happens quite often, and watching the whole process is one of the main reasons to go there! It takes a while for the ship to comes to the locks and even more time to drain all the water to let it through. The way the whole Canal works is actually quite simple. The ships have to go up and down different water levels to cross the Canal. To be able to do this, the locks can be filled with water and drained while a ship is inside them. That way, in order to go to a higher level a ship just needs to go to an empty one that would be filled to match the water level of the next one. The opposite thing is done to go down, draining a lock while the ship is there until the ship is lowered. If you are still confused about it don’t worry, I took a timelapse of a group of ships crossing one of the gates! It took about 40 minutes for the ships to get inside and cross the Canal, and there was a lot of people watching it. Meanwhile, an announcer explained how everything works and gave a lot of information about the Canal. So, in case you don’t want to go to the museum, you can also listen to him! Don’t forget to Pint it if you liked it! 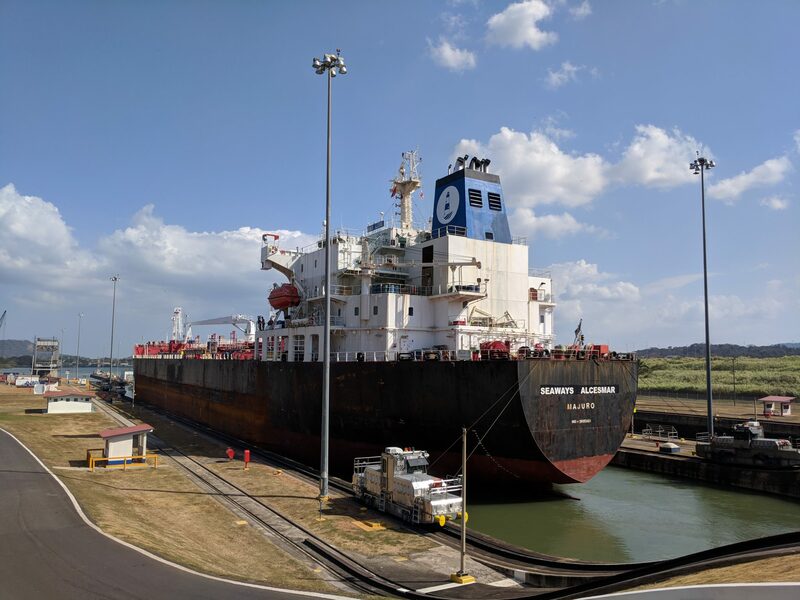 While it’s not the classical sight to see, the Panama Canal is a very interesting a unique experience to have. 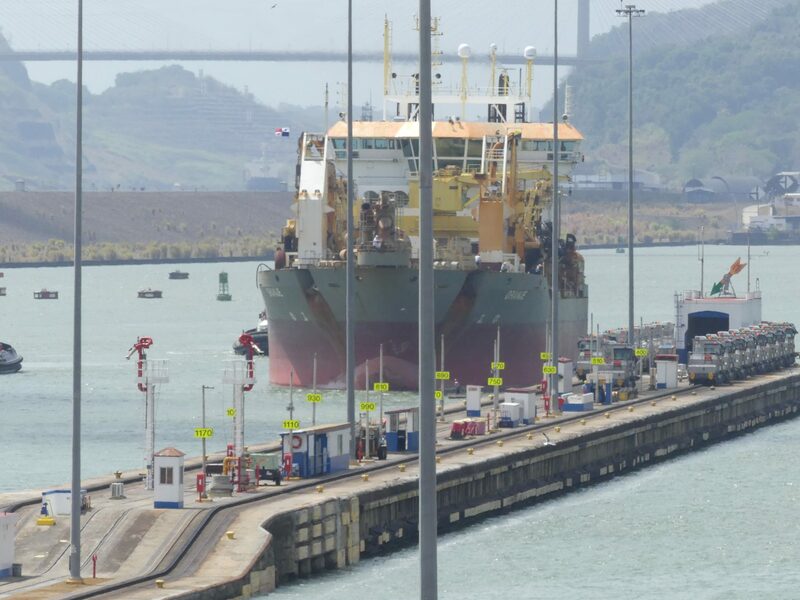 The Miraflores locks are so close to Panama City that it would be a shame to miss the opportunity if you are there! 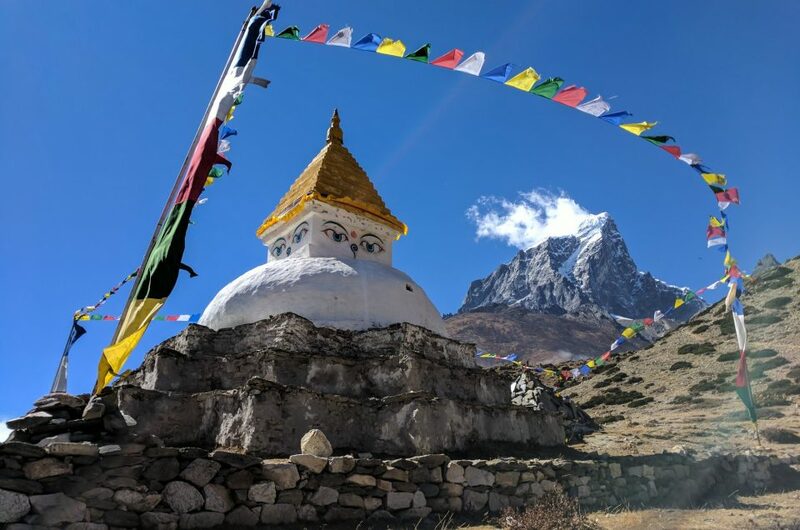 If you ever go there don’t forget to have a look! And let me know if you’ve been there already and what was your experience!